On a bright, warm day at Atlanta Motor Speedway, an estimated crowd of 25,000 saw Kevin Harvick win the E-Z-Go 200, besting Kyle Busch. 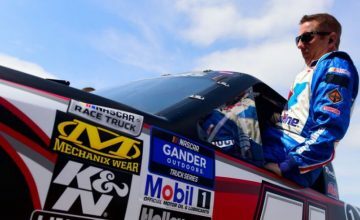 This was Kevin’s seventh victory in 102 starts in the NASCAR Camping World Truck series. 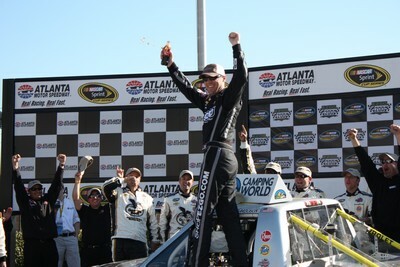 In the two truck races he has run in Atlanta, it is his first victory and second top-10 finish. For Kyle Busch, his second place finish makes this his sixth top-10 finish in six races at Atlanta. 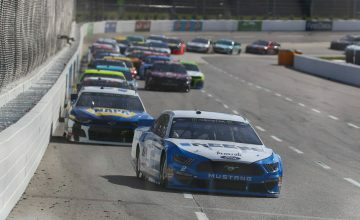 Third place finisher Aric Almirola posted his first top10 finish at AMS. 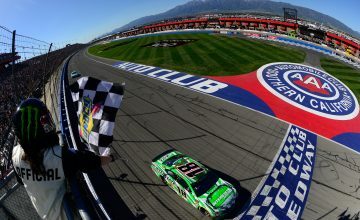 With the truck win today, Harvick has now won a race in each of the three major NASCAR series at Atlanta Motor Speedway. Related ItemsAric AlmirolaAtlanta Motor SpeedwayCamping World Truck SeriesEZ Go 200Kevin HarvickKyle BuschRon Hornaday Jr.